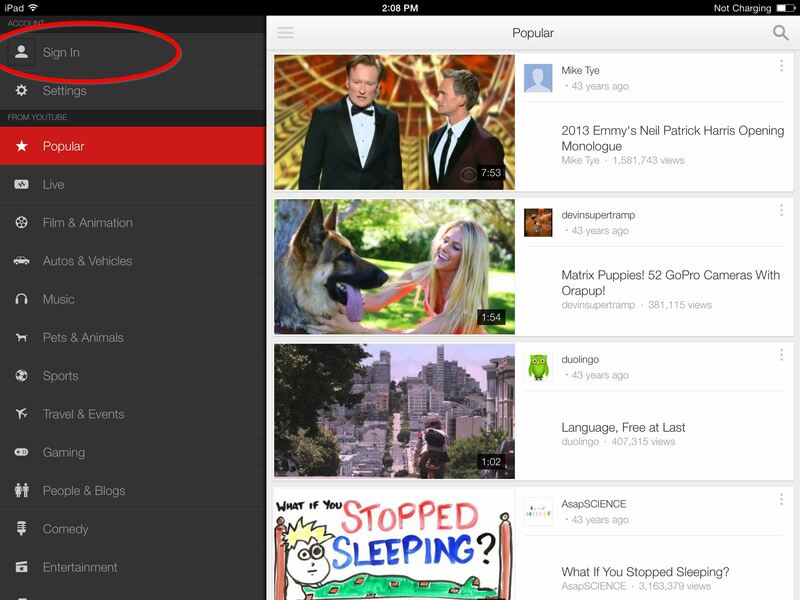 Log into YouTube to access subscriptions, save favourites, create playlists, “Like” and comment on videos. 2. Tap on Sign In button in the left-hand-side menu. 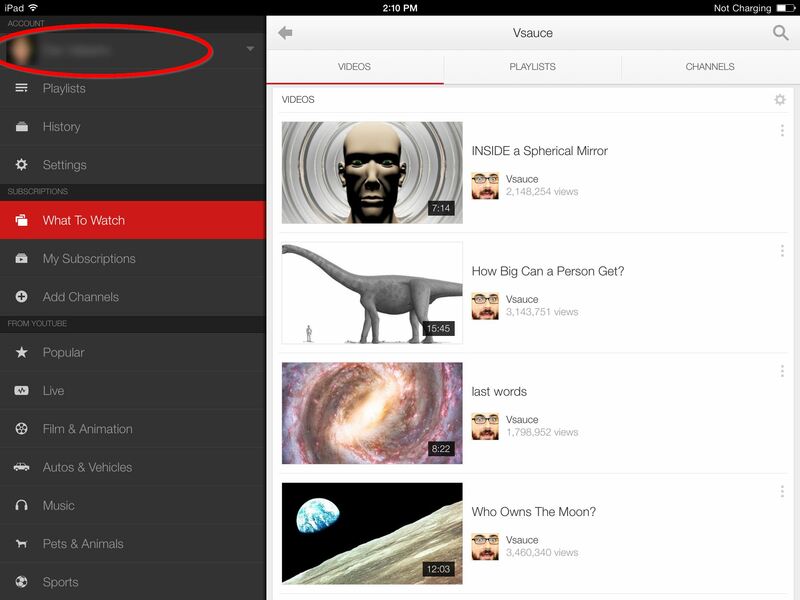 The YouTube interface, showing popular videos on the right and the menu bar on the left. 3. 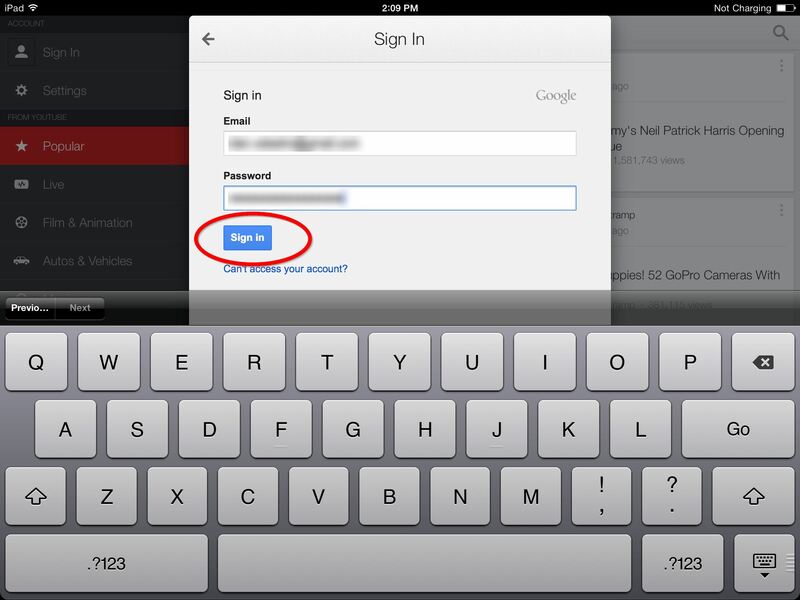 Tap Add account and log in using your student email and password; i.e. <your student username here>@students.danebank.nsw.edu.au. Type in your student email and password. Tap Sign In to continue. 4. Your username or email will appear in the top left corner where Sign In once was. 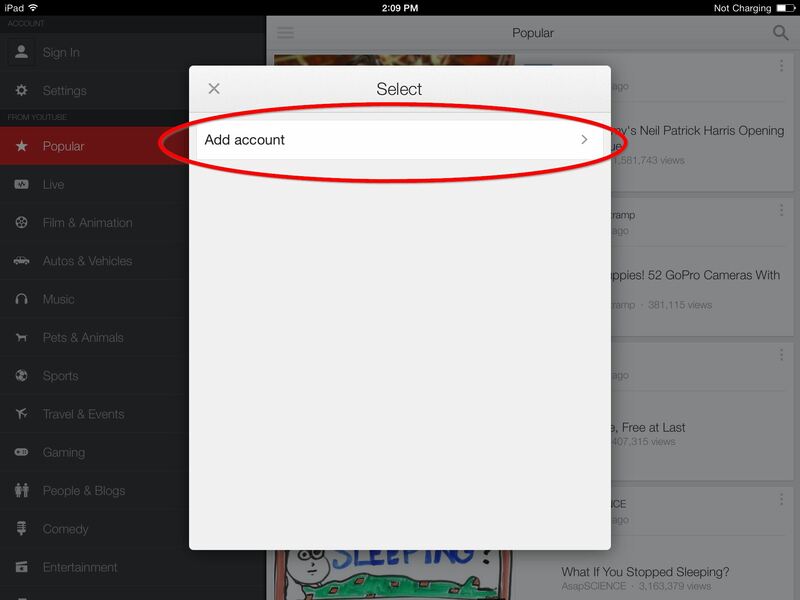 You can now access your subscriptions and playlists from your iPad. 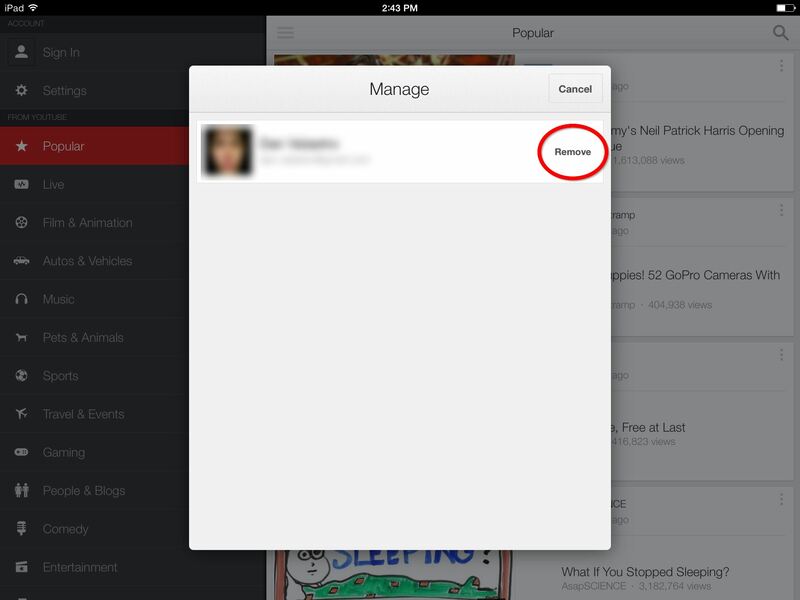 Username or email is now displayed in the top left corner. 5. Log out by tapping Settings, and then SIGN OUT. A notification will appear to show you have logged out. To log out, tap on Settings, and then SIGN OUT. 6. 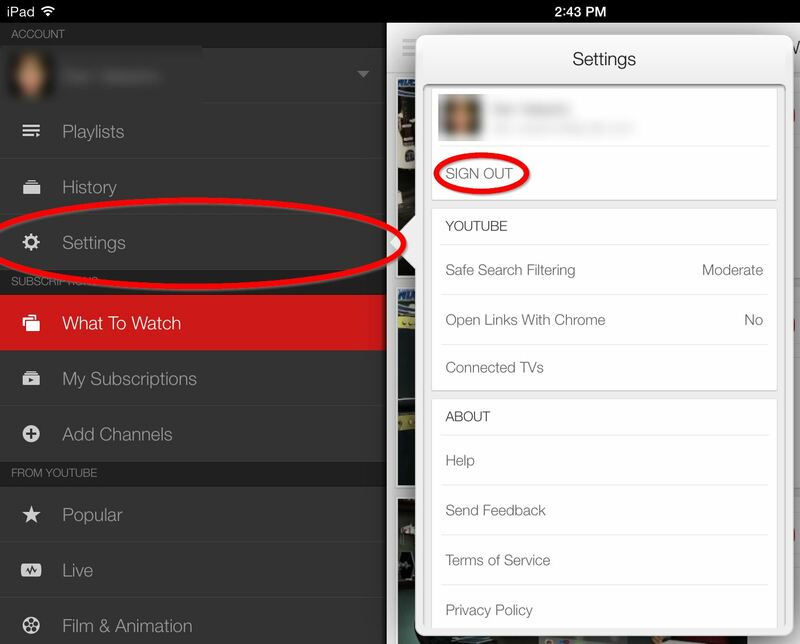 Despite having logged out, YouTube remembers your login details and keeps them on the iPad. To fully log out, you must delete these details. Tap on Sign In in the top left corner as if to sign in again. 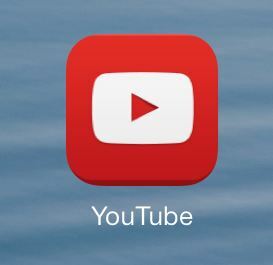 You will see your account there, and potentially other accounts of people who have logged onto that iPad; tap Manage and then Remove your account. You will now have fully logged out successfully. Now in the Sign In window once again, tap Manage to remove your account. Tap Remove to complete the process.